Wide range of diagnostic and screening devices for your practice. Equinox 2.0 is a user-friendly, PC-based clinical audiometer. A full clinical audiometer, which can be directly integrated with databases and electronic medical record systems. With the Equinox 2.0, you get a comprehensive test battery, counseling tools, flexible reporting, built-in wave files and recorded speech. Plus, its flexibility allows for easy customization to fit with your workflow. Callisto™ is an ultra portable PC-based modular system that accommodates the needs of the traveling clinician doing home visits or traveling between different sites, providing all the necessary air, bone and masking features required for basic or advanced diagnostic and clinical use. 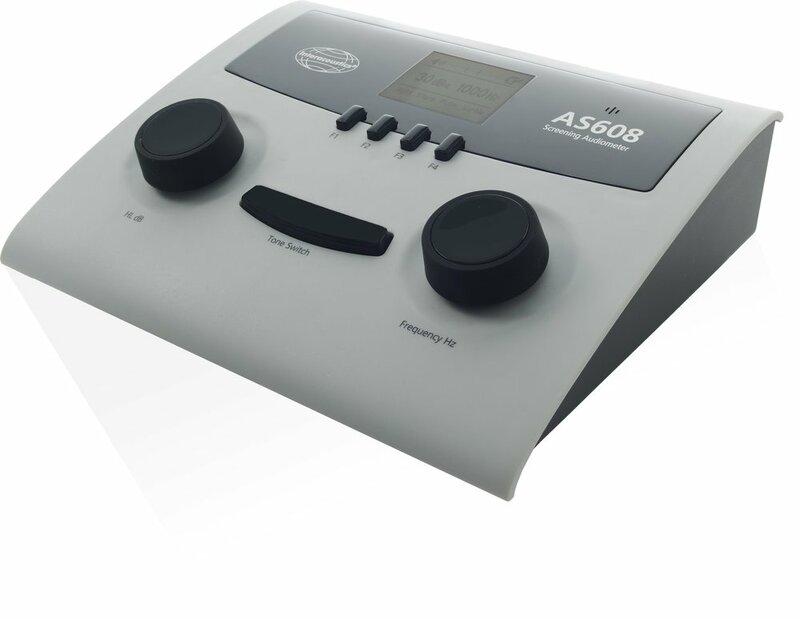 AC40 is a full two-channel clinical audiometer that includes all the advanced features and functions needed by a modern clinic. It features pre-programmed and automated tests with a large LCD screen to make testing easier. The AC40 comes standard with high frequency audiometry, multi-frequency audiometry, MLD, a built-in free field amplifier and more. The AD629 is a full-featured traditional diagnostic standalone audiometer that also features full PC-integration, exible reporting tools and database storage (NOAH, OtoAccess™, XML). The AD629 presents a professional image whether in a clinic – or on the road. The high quality of the AD226 makes it well-suited for stationary or portable applications where diagnostic testing of air and bone conduction thresholds are performed. The time-saving automatic test functions combined with the computer interface make the AD226 ideal for modern healthcare environments. The PA5 is a free field audiometer designed for use by trained health care professionals involved in testing young children. It features one hand operation, silent presentation buttons and a variety of light and sound stimuli.